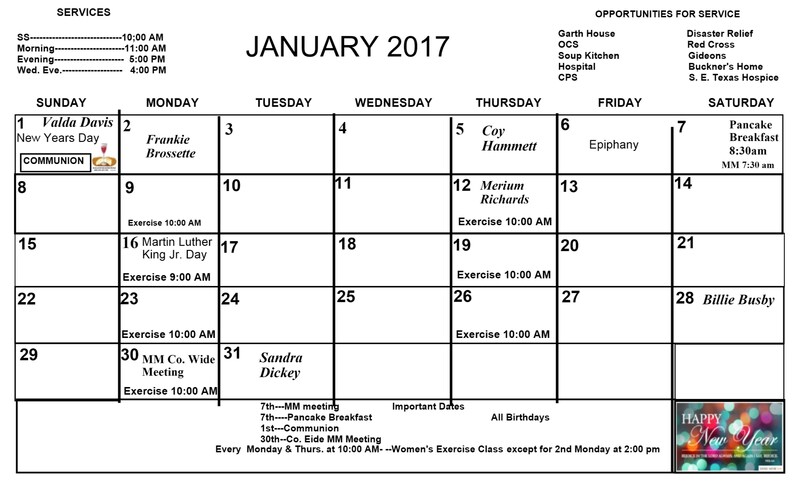 Our first Newsletter for the New Year of 2017 is out and you can find it below. 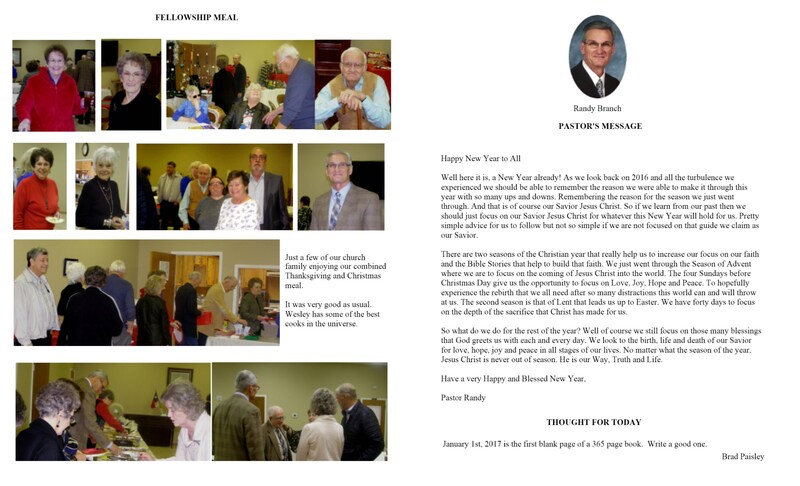 If you want to look at older newsletters just click on the pages link in the right hand column of our web page. Click on the particular page you want to read and it should expand out. 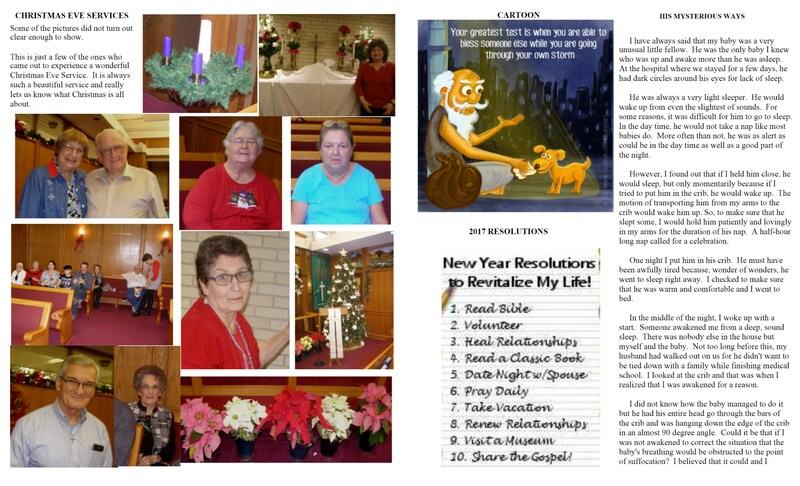 Other good news for readers is the not so good news for us here at Wesley UMC in Orange. 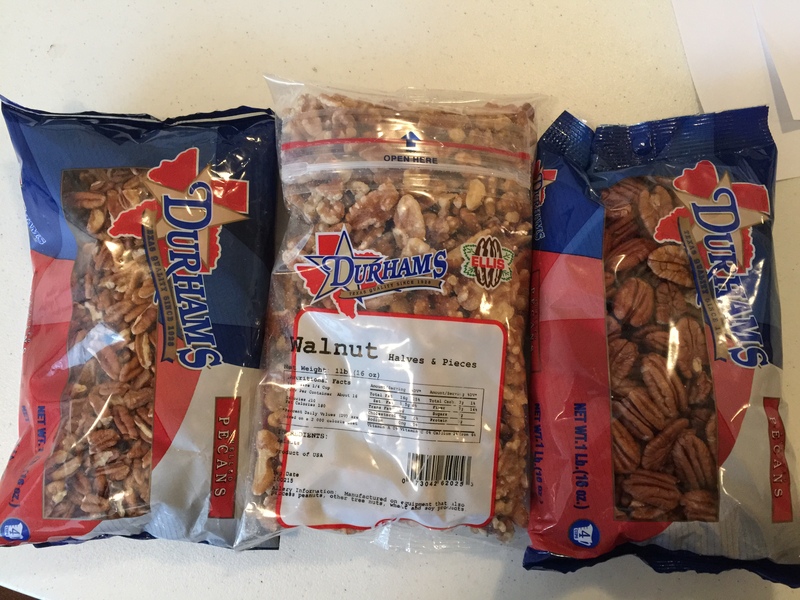 We still have pecans. They are $9.50 a pound for halves and pieces. They are still good and fresh and will make some excellent pies, fudge, brownies etc. You can even freeze them for later. They will last a good while frozen and still taste yummy in lots of goodies. Have a blessed New Year of 2017. 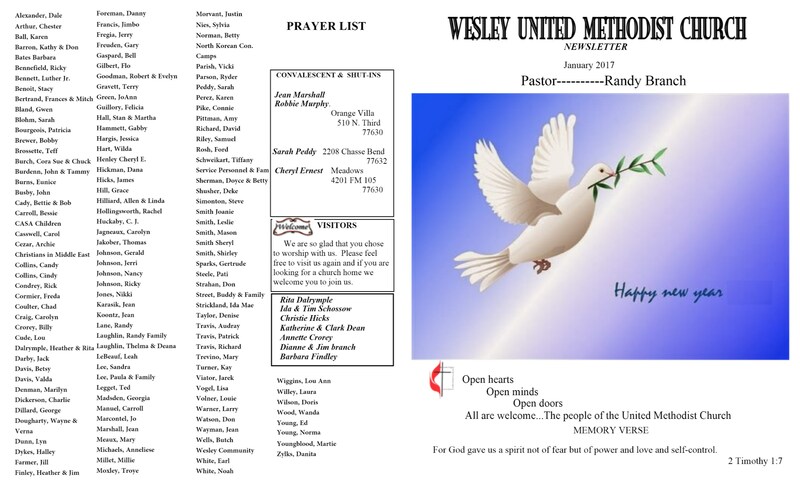 This entry was posted on December 29, 2016 at 4:42 pm and is filed under News, Wesley United Methodist Church. You can follow any responses to this entry through the RSS 2.0 feed. You can leave a response, or trackback from your own site.